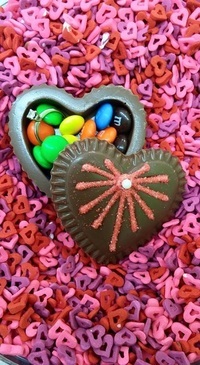 Make a lasting impression on your sweetheart this Valentine's Day! Chocolate Covered Strawberry Valentine Bark: Add a sweet note to your Valentine's Day with this chocolate strawberry bark! Two Dozen Chocolate Roses: Give your Valentine the flowers she can eat! 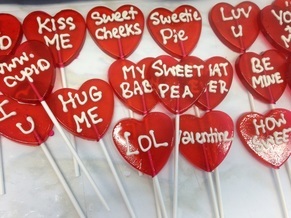 Valentine Hot Cocoa Dippers: A heart shaped piece of milk chocolate fudge topped with a sweet marshmallow, all on a stick! Click HERE to see our Valentine's Day Apples!